Milwaukee Magnetic Tape Measures are Nothing But Heavy Duty. Using Nylon Blade Protection and a 5-Point Reinforced Frame, they offer up to 10X Longer Blade Life, by resisting contamination wear and increasing protection when dropped. An additional innovative feature is the Finger Stop, which protects your finger when the blade retracts. 26-Feet. 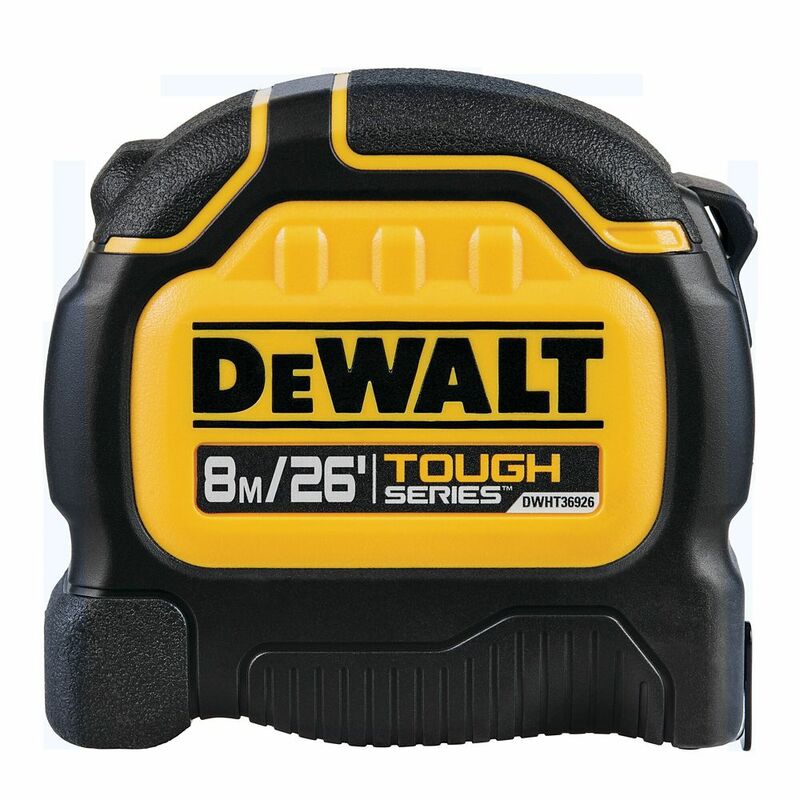 Tape Measure The DEWALT 26-ft Tape Measure is Guaranteed Tough thanks to a reinforced housing and a metal impact plate. They also have incredible standout at 13ft*, maximizing the users reach. The 3M and Mylar coatings increase the blade life and reduce blade breakage.